Ricardo Cardenas-Eddy, born in México, is a successful artist growing his career as his exhibitions and rising popularity demonstrate. He expresses his feelings and beliefs by connecting his Art, in media and technique, with his career as construction engineer, creating his Artworks cleverly using building materials, concrete and steel bars, as his artistic media. 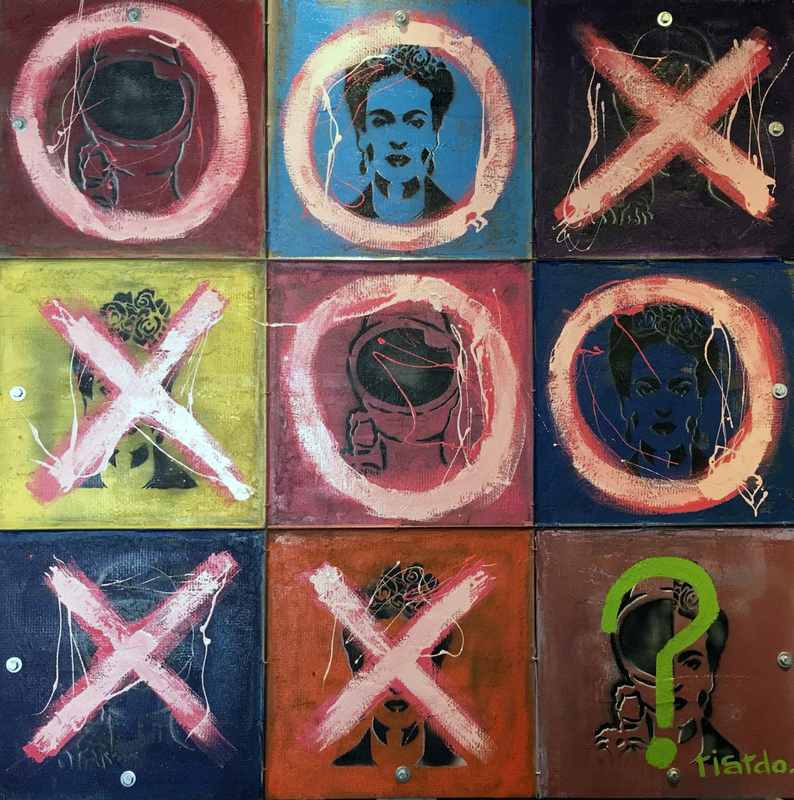 At Art Basel Miami week 2018, the New Own Free Style by Ricardo Cardenas-Eddy reached a peak level with his Series of Tributes to Great Masters and his Series of The Muses of Ricardo, as the Artist opened a new path for the Visual Arts that transcends time and space conceiving a new way of celebrating Art History and a novel manner of innovating the media and techniques to depict it. The My Muses Series by Ricardo Cardenas-Eddy are inspired by the seven Art Muses created by Zeus in Greek and Roman Mythology that guided Classical culture and the thinking of humanity for centuries. They encompass seventeen exquisite one of a kind sculptures, each different from the other, representing a Cultural or Human concept defined by the Artist. Made in his characteristic cement and steel bars, the Artworks appear as if they were digging out from a cement block or wall. Each base, on which they stand, has a color to represent the wall from where the piece came. 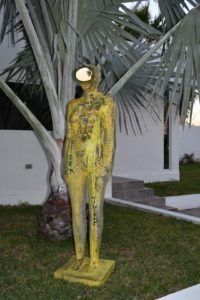 The sculptures depicted in human scale to obtain a closer approach to reality, don’t have a race, gender or age, as the idea is to eliminate stigma. They are distinct in color and technique, as for the finishing touches varied materials were applied, such as wood, metal, resin, paper or paint. Themes and names are diverse, like the language for the title of each. The Artist’s goal is to transmit a Universal Message. His exquisite Series of Tributes to Great Masters reinterpret the main traits of the ART from one or more master artists. A genuine and original creator, with fresh unique proposals, on his canvas of cement and iron bars, he paints and adds collages for the whole to look as a unique poster or street graffiti on a cement wall. These astonishing Artworks are greatly admired by viewers and Art Collectors. Cardenas-Eddy brings his interpretations to our present time, using the unforgettable imagery of an international master, making it his own. The fusion between the diverse artistic visions is perfect. By using the Tic Tac Toe game he tells that Master Art is for all people, popular and accessible as a worldwide played game. Presented by Contemporary Art Projects USA in 2016, Cardenas-Eddy had a Solo Show at the Gallery of MDC West Campus, Doral, FL. This year he will have again a Solo Show presenting his New Own Free Style. During Red Dot 2017 Opening Night, he sold El Juego de las Fridas. In 2017 and 2018 he participated at Art Palm Beach and Art Boca, on this last fair in 2017 he sold two Artworks daily. In 2018, he participated in Art Santa Fe, the Pre-Art Basel Miami Week: ART from Our Earth, the Sea and the Sky at the ArtsPark Gallery of the City of Hollywood, FL, and during Art Basel Miami week at Scope Art Fair, a Solo Show at the Delano Hotel, where he had record sales, including the painting Mi Frida to famous designer Steve Madden, and a Group Show at SLS Brickell, among other venues. At Art Wynwood 2019 he shows a new painting from his Series of Tributes to Great Masters and a sculpture from his Series of The Muses of Ricardo.